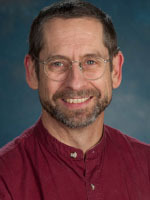 Dean Lillard is an associate professor of consumer sciences in the Department of Human Sciences. He received his PhD in economics from the University of Chicago in 1991. From 1991 to 2012, he was a faculty member and senior research associate in the Department of Policy Analysis and Management at Cornell University. In August 2012 he joined the faculty at The Ohio State University. He directs and manages the Cross-National Equivalent File Project – a compendium of panel data sets from nine countries that are comparable across countries. He is a member of the American Economics Association, the Population Association of America, the International Association for Research on Income and Wealth, the International Health Economics Association, the American Society for Health Economics, a research professor at the German Institute for Economic Research in Berlin, Germany, and a research associate of the National Bureau of Economic Research. He serves on the advisory board of the Danish National Institute for Social Research in Copenhagen, Denmark and the Cross-National Studies Interdisciplinary Research and Training Program – a collaborative program run by the Polish Academy of Sciences (PAN), and together with the Mershon Centre at OSU. Lillard's current research focuses on health economics, the economics of schooling and international comparisons of economic behavior. His research in health economics is primarily focused on the economics of the marketing and consumption of cigarettes and alcohol. His research on the economics of schooling includes studies of direct effects of policy on educational outcomes and on the role that education plays in other economic behaviors such as smoking, production of health, and earnings. His cross-national research ranges widely from comparisons of the role that obesity plays in determining labor market outcomes to comparisons of smoking behavior cross-nationally. In 2015, Oxford University Press will publish his book titled, “Life-course smoking behavior: Patterns and national context in ten countries” – the product of a five-year NIH-funded project that involved collaborators in five countries. Lillard, Dean (PI) "Alcohol, Advertising, Drinking and Driving: An Econometric Study of Underage Youth and Adults" National Institute on Alcohol Abuse and Alcoholism. September 1, 2011 through May 31, 2015. Lillard, Dean (PI) “Cross-National Patterns and Predictors of Life-cycle Smoking Behavior” National Institute of Aging. August 15, 2009 through August 14, 2015. Lillard, Dean (PI), and Sfekas, Andrew (Co-PI). “Strategic Marketing of Cigarettes: Firm and Consumer Behavior.” National Cancer Institute. September 1, 2007 through August 31, 2012. Lillard, Dean (PI), and Gerner, Jennifer (Co-PI). “Early Gains to Early Education: A Quasi-Natural Experiment.” National Institute of Child Health and Human Development. July 1, 2006 through June 30, 2008. Kenkel, Donald (PI), Lillard, Dean R. (Co-PI), and Mathios, Alan (Co-PI). “Econometric Study of Schooling, Information, and Smoking.” National Cancer Institute. April 1, 2006 through March 31, 2009. Mathios, Alan (PI), Avery, Rosemary (Co-PI), Kenkel, Donald (Co-PI), and Lillard, Dean R. (Co-PI). (2006) “Smoking Cessation and Advertising: An Econometric Study.” National Cancer Institute. January, 1, 2006 through December 31, 2009. Lillard, Dean R.(PI), Kenkel, Donald (Co-PI), and Mathios, Alan (Co-PI). (2003) “Smoking Cessation Among Older Americans,” National Institutes on Aging, September 30, 2003 through September 30, 2005. Kenkel, Donald (PI), Avery, Rosemary (Co-PI), Lillard, Dean R. (Co-PI), and Mathios, Alan (Co-PI). (2002) “An Economic Study of Three Decades of Smoking Cessation,” National Cancer Institute. April 15, 2002 through April 14, 2005. Burkhauser, Richard V. (PI), and Lillard, Dean R. (Co-PI). (2002) “Adding Health Variables to the Cross-National Equivalent File,” National Institutes on Aging, September 30, 2002 through August 31, 2004. Lillard, Dean R. (PI). (2000). “The Effects of Mandated State Testing Programs.” The Spencer Foundation. August 1, 2000 through July 31, 2003. Lillard, Dean R. (2014). “Smoking in Australia.” chapter 2 in Life-course smoking behavior: Patterns and national context in ten countries. Lillard, Dean R. and Christopoulou, Rebekka (eds.). Oxford University Press. Forthcoming. Lillard, Dean R. (2014). “Smoking in the United States.” chapter 5 in Life-course smoking behavior: Patterns and national context in ten countries. Lillard, Dean R. and Christopoulou, Rebekka (eds.). Oxford University Press. Forthcoming. Lillard, Dean R. (2014). “Smoking in Germany.” chapter 6 in Life-course smoking behavior: Patterns and national context in ten countries. Lillard, Dean R. and Christopoulou, Rebekka (eds.). Oxford University Press. Forthcoming. Lillard, Dean R. and Dorofeeva, Zlata. (2014). “Smoking in Russia and Ukraine before, during, and after the Soviet Union.” chapter 9 in Life-course smoking behavior: Patterns and national context in ten countries. Lillard, Dean R. and Christopoulou, Rebekka (eds.). Oxford University Press. Forthcoming. Lillard, Dean R. and Gil-Lacruz, Ana I. (2014). “Relative Smoking Patterns of Men and Women in Cross-Country Perspective.” chapter 13 in Life-course smoking behavior: Patterns and national context in ten countries. Lillard, Dean R. and Christopoulou, Rebekka (eds.). Oxford University Press. Forthcoming. Lillard, D. R., Christopoulou, R., and Gil-Lacruz, A. (2014). “Validation of a Method for Reconstructing Historical Rates of Smoking Prevalence.” American Journal of Epidemiology. doi: 10.1093/aje/kwu184. Lillard, D. and Manzoni, A. (2013). “International Migration as Occupational Mobility: The Case of Germany.” Journal of Applied Social Science Studies, 133(2): 263-273. (also available as SOEPpaper No. 498, DIW-Berlin). Lillard, Dean R., Molloy, Eamon, and Sfekas, Andrew. (2013). "Smoking Initiation and the Iron Law of Demand." Journal of Health Economics Vol. 32: 114-127. Christopoulou, Rebekka, Lillard, Dean and Balmori, Jose R. (2013). "Smoking behavior of Mexicans: patterns by birth-cohort, gender, and level of education." International Journal of Public Health. Lillard, Dean. (2011). "Keeping it in the Family? If Parents Smoke Do Children Follow?" Journal of Applied Social Science Studies. 131: 277-286. Kenkel, Donald, Lillard, Dean R., and Liu, Feng. (2009). “An Analysis of Life-Course Smoking Behavior in China.” Health Economics 18: S147-S156. Avery, Rosemary, Kenkel, Donald, Lillard, Dean, and Mathios, Alan. (2007). “Private Profits and Public Health: Does DTC Advertising of Smoking Cessation Products Encourage Smokers to Quit?” Journal of Political Economy. Vol. 115 (3): 447-481 (also NBER working paper 11938). Burkhauser, Richard V. and Lillard, Dean R. (2007). “The Expanded Cross-National Equivalent File: HILDA Joins its International Peers.” The Australian Economic Review, Vol. 40 (2): 1–8. Avery, Rosemary, Kenkel, Donald, Lillard, Dean, and Mathios, Alan. (2007). “Regulating Advertisements: The Case of Smoking Cessation Products.” Journal of Regulatory Economics Vol. 31 (2): 185-208. (also NBER working paper 12001). Kenkel, Donald, Lillard, Dean R., and Mathios, Alan. (2006). “The Roles of High School Completion and GED Receipt in Smoking and Obesity.” Journal of Labor Economics. Vol. 24 (3): 635-660. (also NBER working paper 11990). Burkhauser, Richard V. and Lillard, Dean R. (2005). “The Contribution and Potential of Data Harmonization for Cross-National Comparative Research” Journal of Comparative Policy Analysis, Vol 7 (4): 313-330.